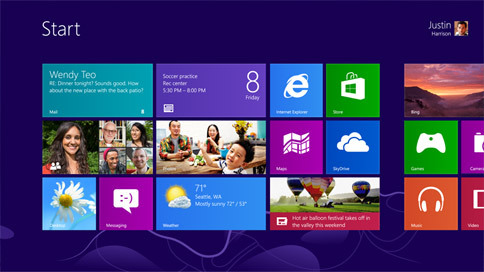 Few months back, Microsoft has launched its latest operating system, Windows 8. Windows 8 comes with improved stability and safety. Users are also upgrading to it and leaving older Widows version. Windows 8 is designed to work in both touch devices and desktop. Touch users can do their work easily with swipe and touch on the device. But desktop users can take time in moving mouse to click. To make the work faster, Microsoft has also added the keyboard shortcuts in this version of Windows like previous versions. Most of the keyboard shortcuts are identical to the keyboard shortcuts present in the previous versions and also added few new. If you have already upgraded to Windows 8, I recommend you to learn some important keyboard shortcuts of Windows 8 to make your work faster. These are some must Know Windows 8 Keyboard Shortcuts. Key + Shift + .